“What?! ?” methought. Incredulously, I downloaded the 92-page document, so easily done at www.gsa.europa.eu, and scrutinized it closely. 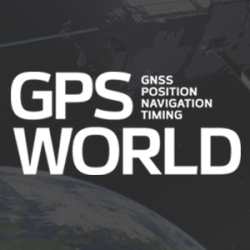 Surely the GPS-only installed base out there is wider, vaster and deeper (it’s certainly older!) than could have been overtaken already by the wave of multi-constellation devices. Yes, they are clearly the future. But is the past already gone? That golden age when GPS was all that anyone lived, positioned and navigated by — vanished into the mist? Only earlier this very year was I upgraded from an iPhone 3 to an 8, with Galileo onboard for the first time. “Hip, but by the skin of my teeth,” I breathed. 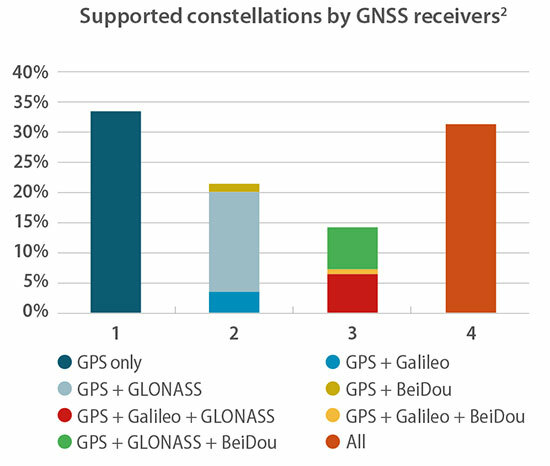 Of the roughly 500 chipsets and modules tallied by the GSA, 30 percent of those models are GPS-only. That’s a number of quite a different color. See the chart for fuller information. Better minds than this can take a stab at how many devices in the hands end users on this day are still GPS-only. I’d put it above 50 percent. The writing’s on the wall for the GPS-only artifact, but a good many of those veterans are still out there, working hard in the marketplace. 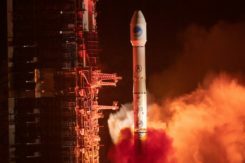 Their reign as the majority may be limited, especially with the rising global tide of multi-constellation smartphones, but let’s honor them one last time before consigning them to the museum. The GSA’s report, by the way, is a remarkably good and valuable read. No one can know it all, but this slim volume packs a remarkable and essential density of key facts, trends, issues, markets and more.